SUMMARY: Laurel’s Ridge Trail is a flat trail from the top of Natural Bridge out to Lover’s Leap. After passing the top of the Skylift, there are several overlooks along the way including Lookout Point and Lover’s Leap. This trail begins at the top of Natural Bridge and is meant to be combined with the other routes up to Natural Bridge like the Original Trail and Balanced Rock Trail. Park in Hemlock Lodge Parking Area or at the base of the Skylift depending on which trail you have chosen to take to the top of Natural Bridge. 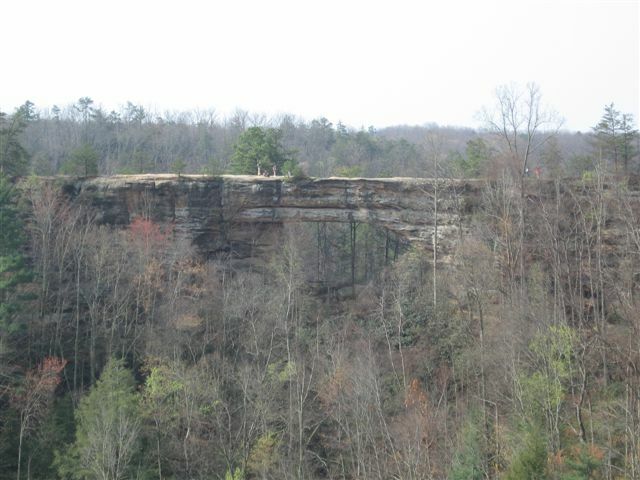 Select a route such as the Natural Bridge via Balance Rock and the Original Trail and arrive on top of Natural Bridge. From the top of Natural Bridge cross to the side with the chairlift (across from the pagoda). Cross underneath the top of the Skylift. Descend from Natural Bridge by selecting another route such as the Natural Bridge via Balance Rock and the Original Trail. This hike must be combined with one of the other Natural Bridge hikes such as the Natural Bridge via Balance Rock and the Original Trail.